Learn more about the Institute, our Certified Master Chefs®, and products that have received the Master Chefs’ Seal of Excellence. 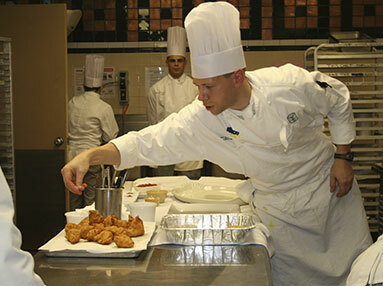 For the first time since 2014, some of most seasoned and skilled chefs from around the U.S. will gather at Schoolcraft College in Livonia, Michigan to take the American Culinary Federation (ACF) Certified Master Chef© (CMC®) exam. 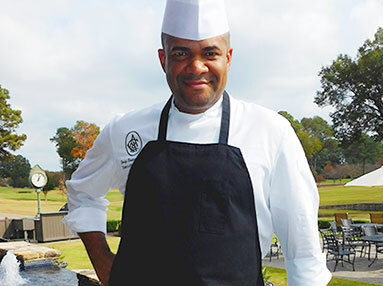 Chef Shular is Executive Chef of Atlanta Athletic Club and directs the Club’s culinary department of over 80 employees, five restaurants and dining outlets, and a large banquet operation. Founded in 1898, Atlanta Athletic Club has a long history hosting Championship golf and tennis events and has been ranked a Top Ten Country Club every year since 2009. 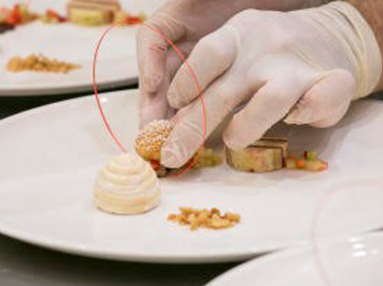 Chef Jonathan Moosmiller earned his Certified Master Chefs (CMC) certification in 2014 after passing the arduous eight-day American Culinary Federation Exam. He is the Executive Chef of Southern Hills Country Club, Tulsa, Oklahoma, a Platinum Club® of America that hosts seven PGA and USGA Major Championships. 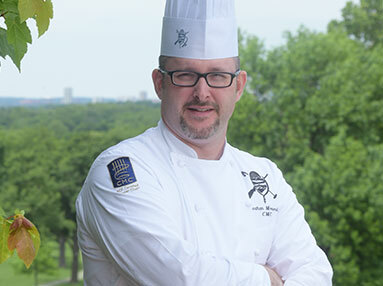 Chef Beland is Executive Chef Director of Food and Beverage for Country Club of Detroit, overseeing every aspect of the club’s Food & Beverage Services. Country Club of Detroit, located in Grosse Pointe Farms, Michigan, is a private club of over 800 members and has hosted two United States Amateur Championship golf tournaments.